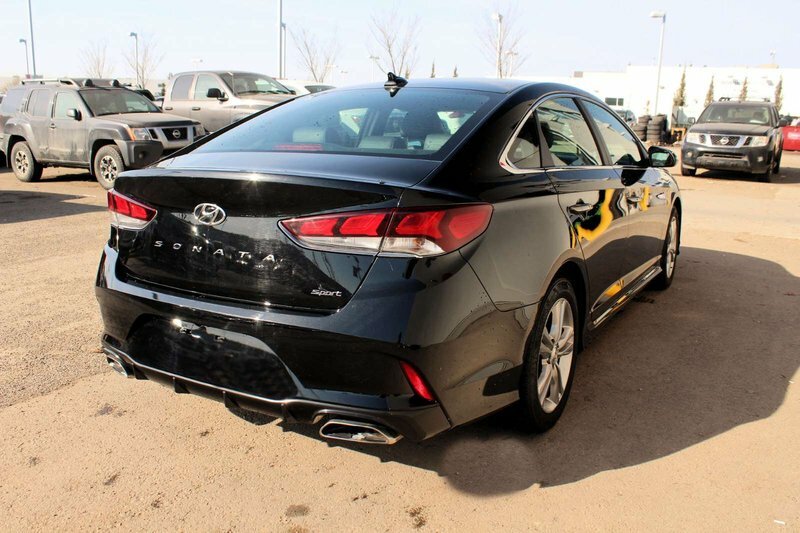 Embrace the well-executed design and standout performance of our 2018 Hyundai Sonata Sport Sedan that's sculpted to perfection in Phantom Black! 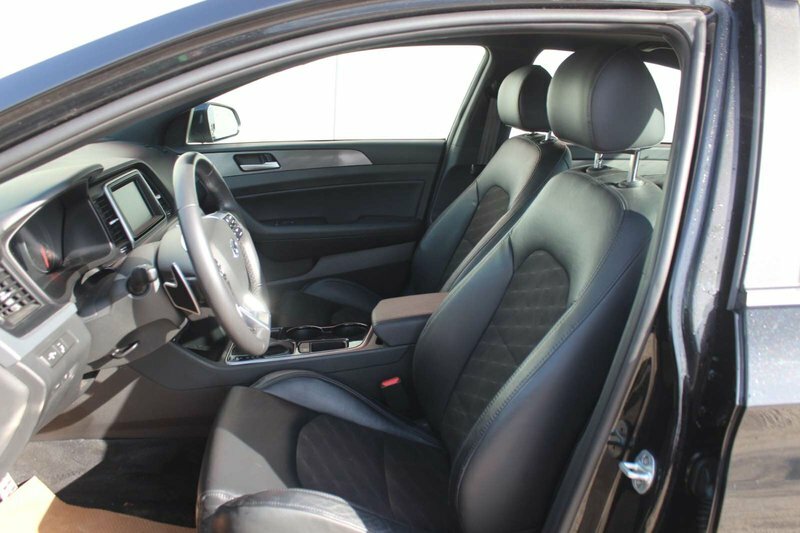 Powered by a 2.4 Litre 4 Cylinder that generates 185hp with its 6 Speed Shiftronic Automatic transmission. 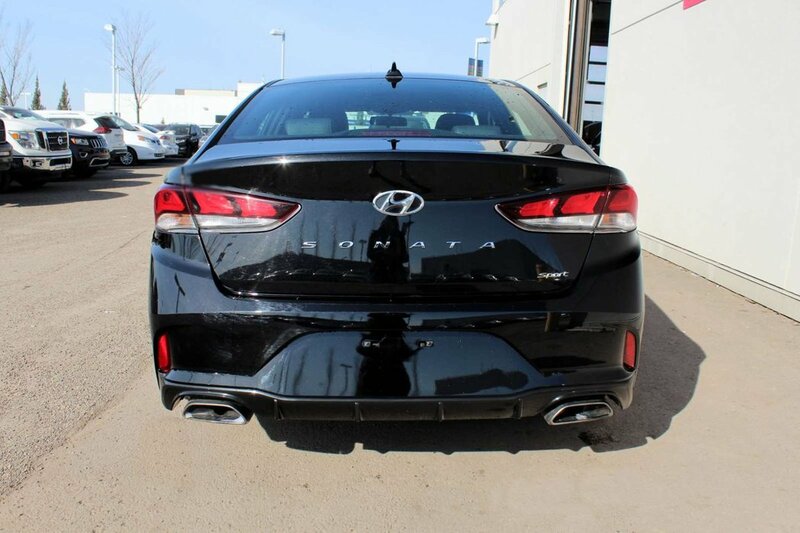 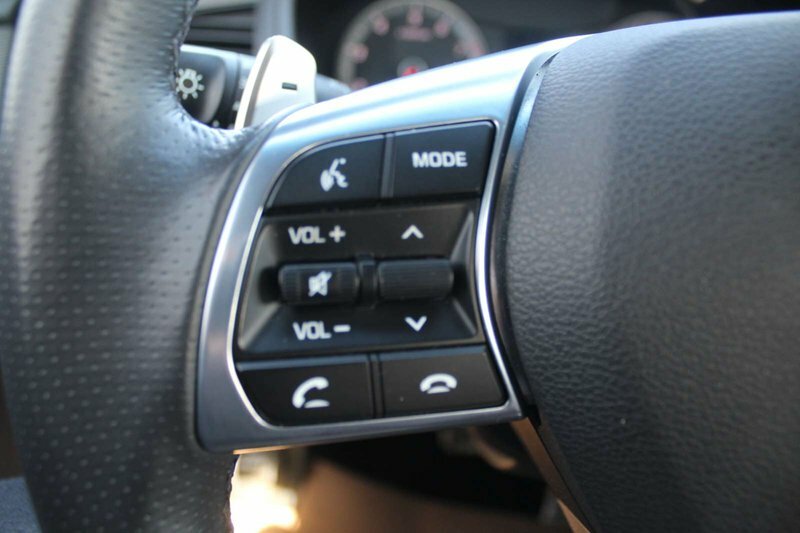 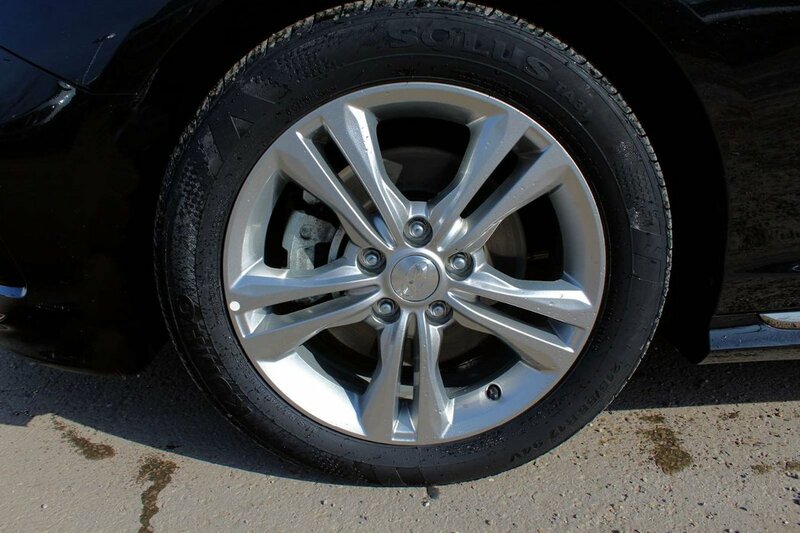 Enjoy responsive handling, excellent ride quality, and near 6.5L/100km on the highway in our Front Wheel Drive Sonata! 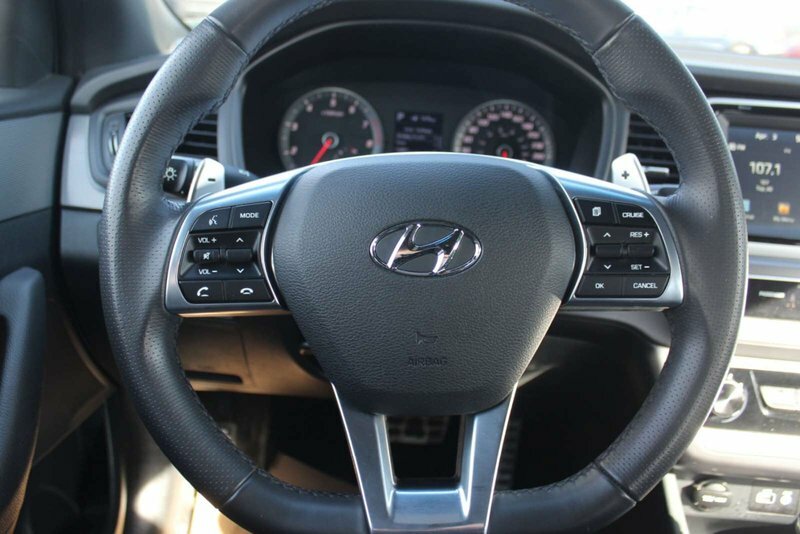 You'll agree that our fresh-faced Sport is undeniably attractive inside and out. It's easy to make a great first impression when you pull up in this sedan with its aggressive stance, sport grille, alloy wheels, and dual exhaust. 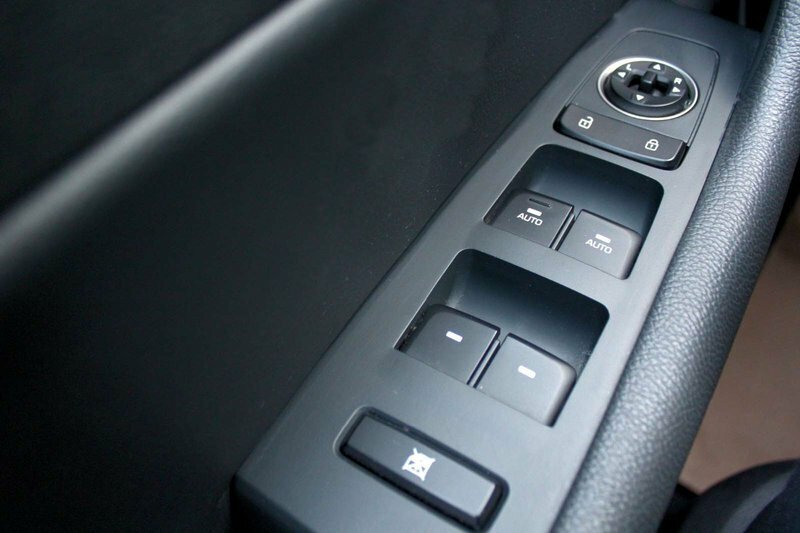 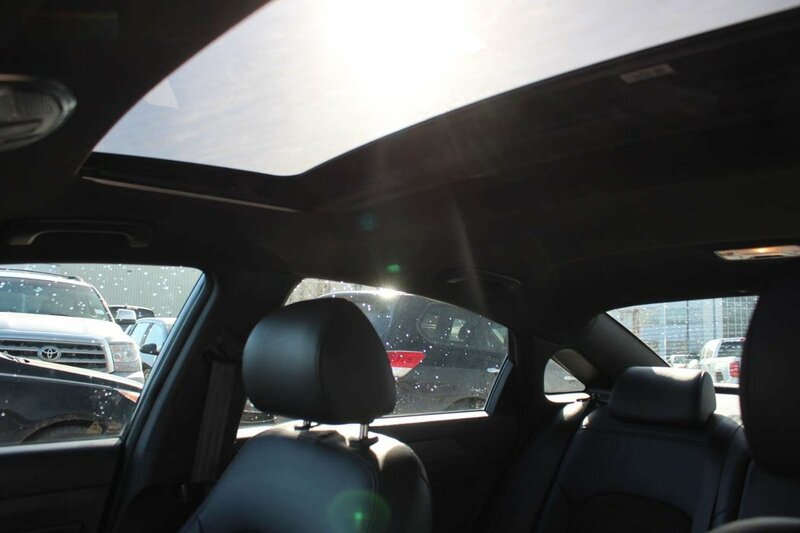 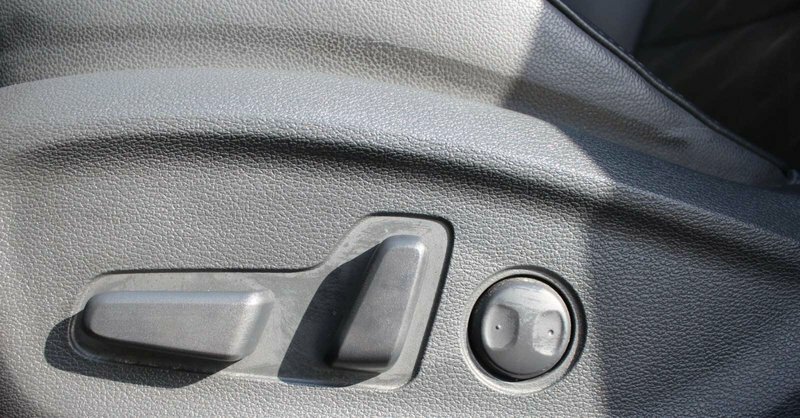 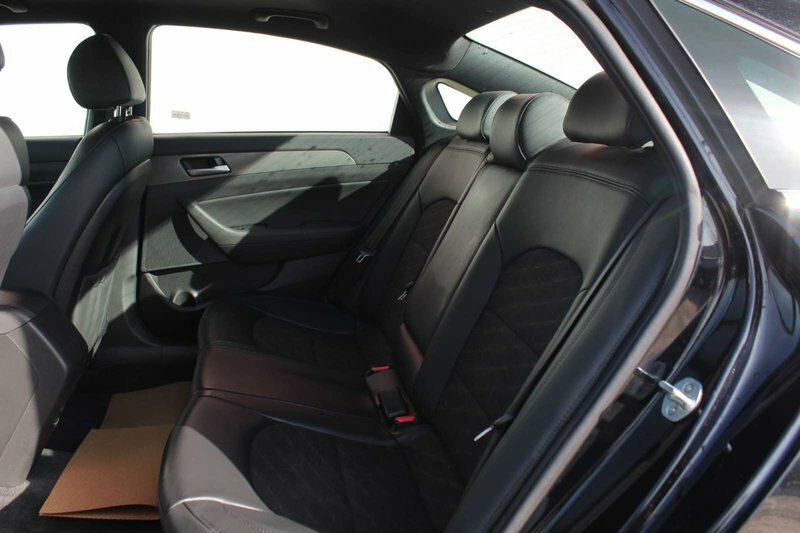 Featuring class-leading head and legroom, the Sport cabin is an incredibly comfortable place to spend time. 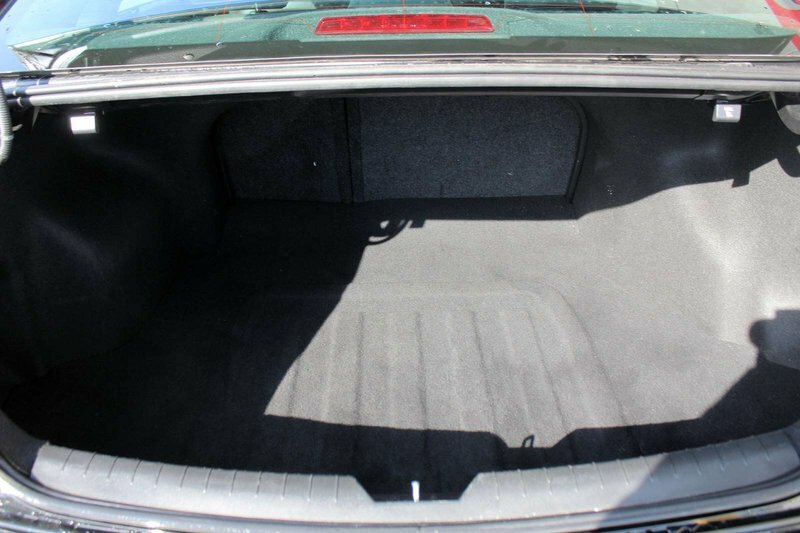 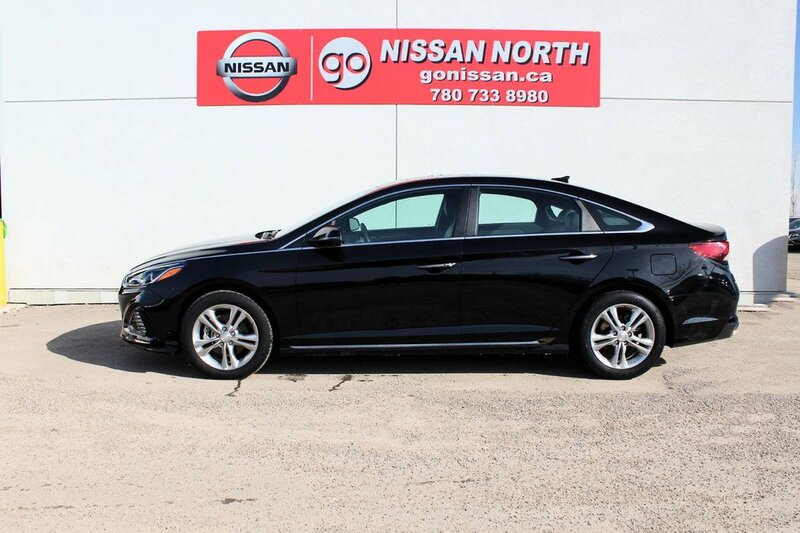 Amenities are plentiful and include a hands-free smart trunk, proximity key with push-button start, a sunroof, LED lighting, aluminum pedals, heated front sport seats with leather bolsters, and a 60/40 split-folding rear seat. 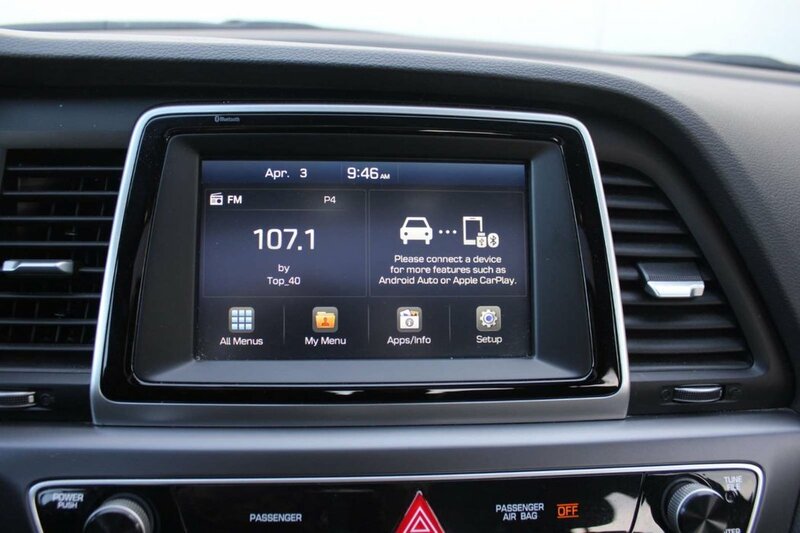 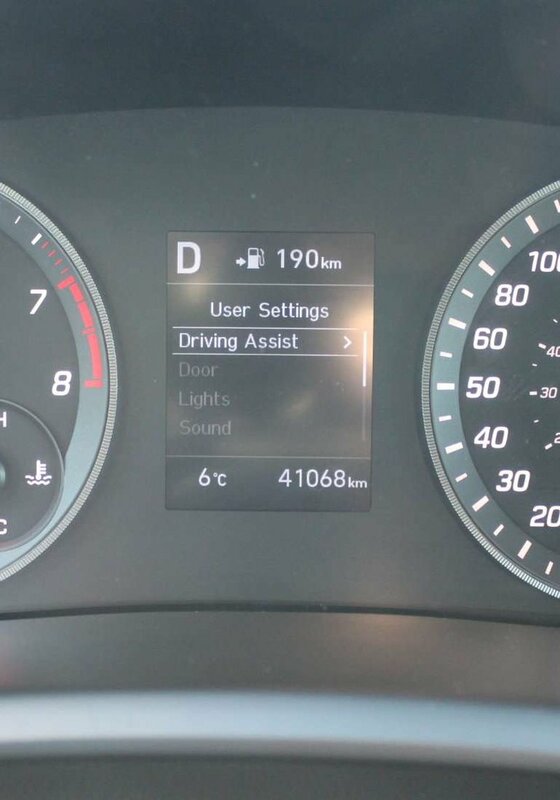 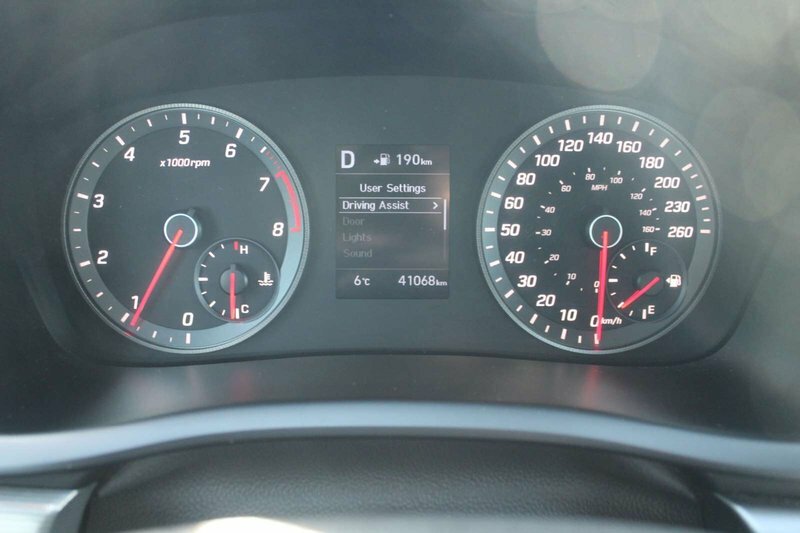 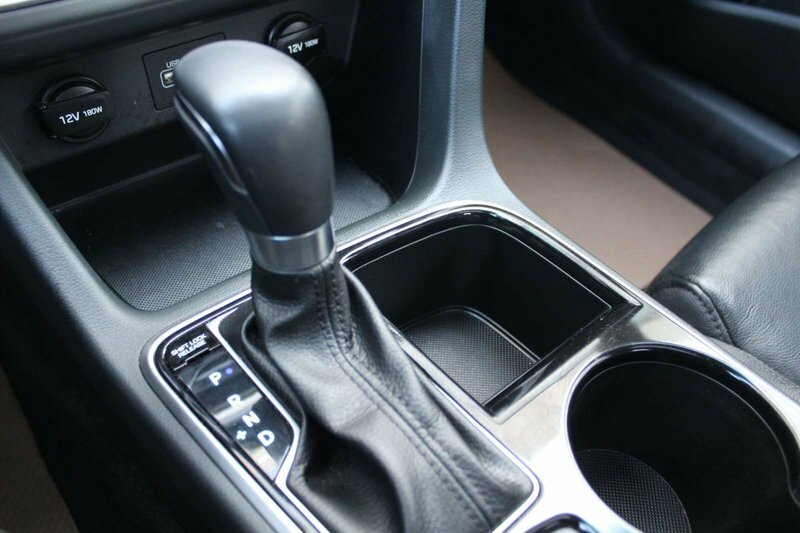 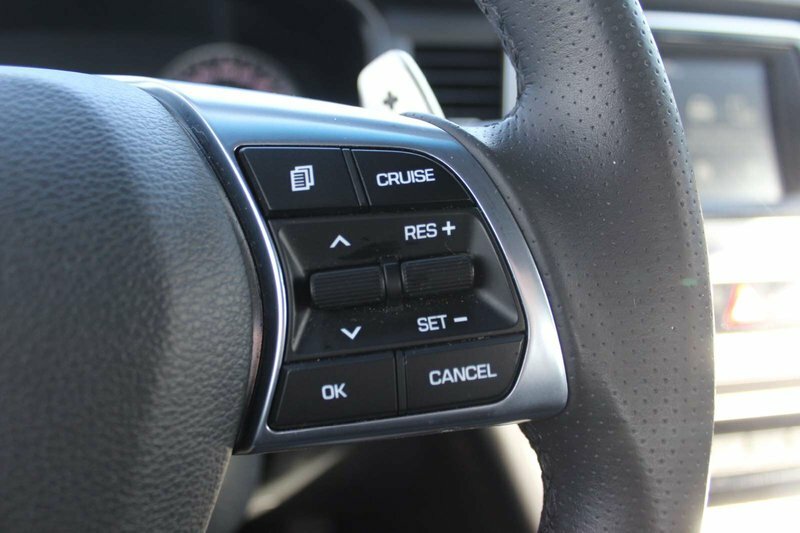 Infotainment is close at hand thanks to Apple CarPlay/Android Auto, BlueLink Telematics/Connected Care, a prominent touchscreen, voice command, and AM/FM/MP3 audio with available satellite radio capability as well as iPod/USB/Aux jacks. 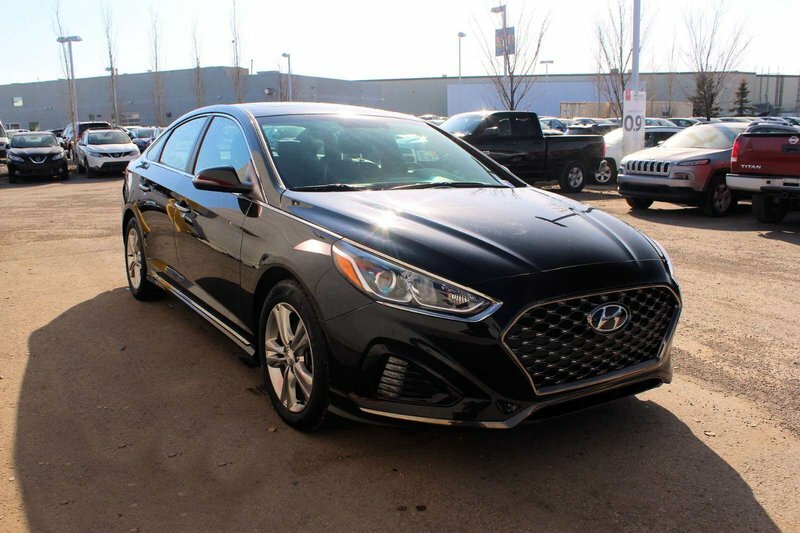 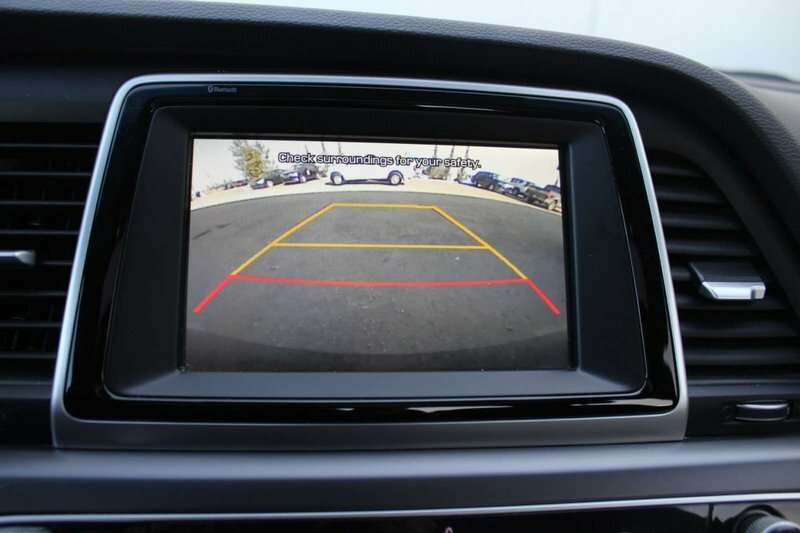 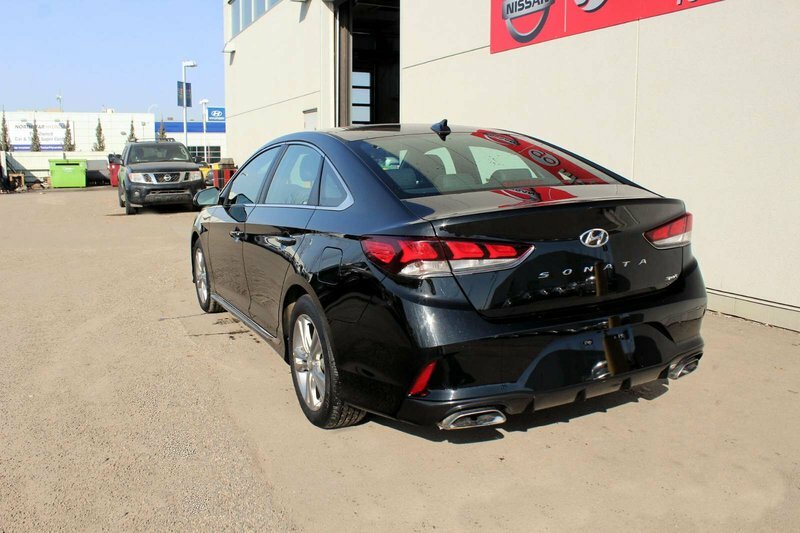 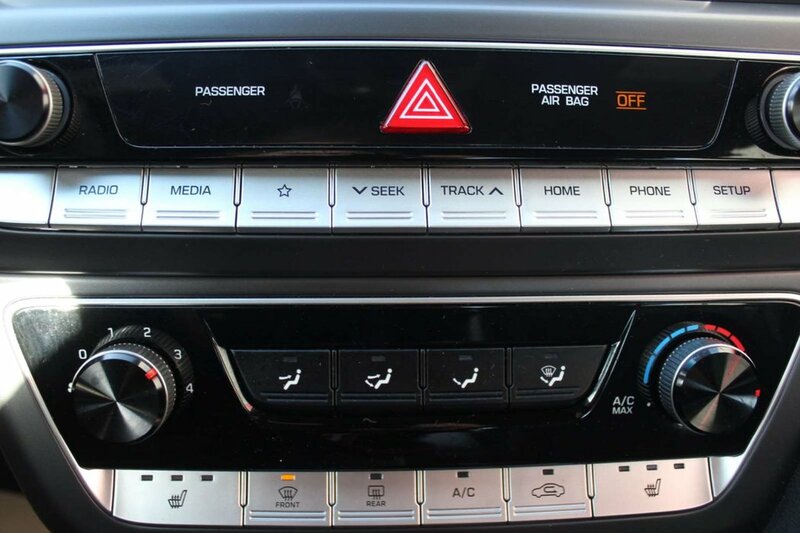 In addition to being efficient and stylish, our Hyundai Sonata Sport leads the pack with advanced safety features including blind spot detection, a rearview camera, stability management, traction control, ABS, tire pressure monitoring, airbags, and more. 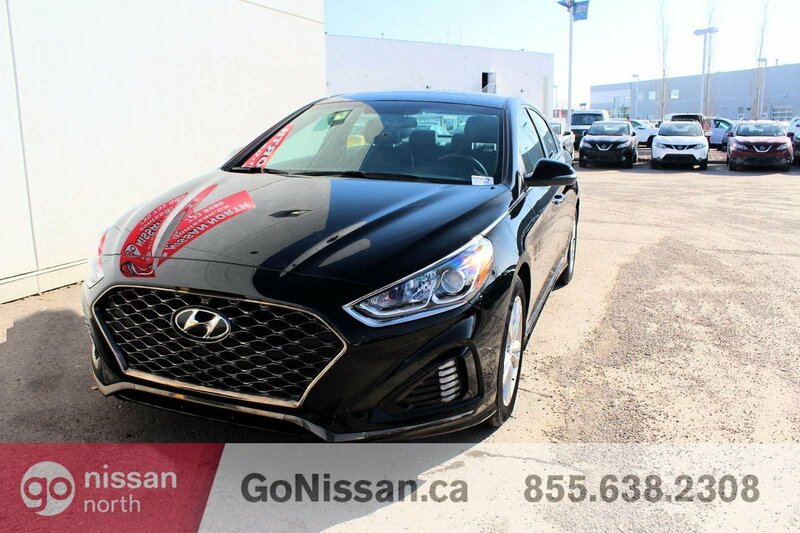 Put yourself in the driver's seat of this exuberant sedan - it could be the smartest choice you'll make this year! Print this page and call us Now... We Know You Will Enjoy Your Test Drive Towards Ownership!